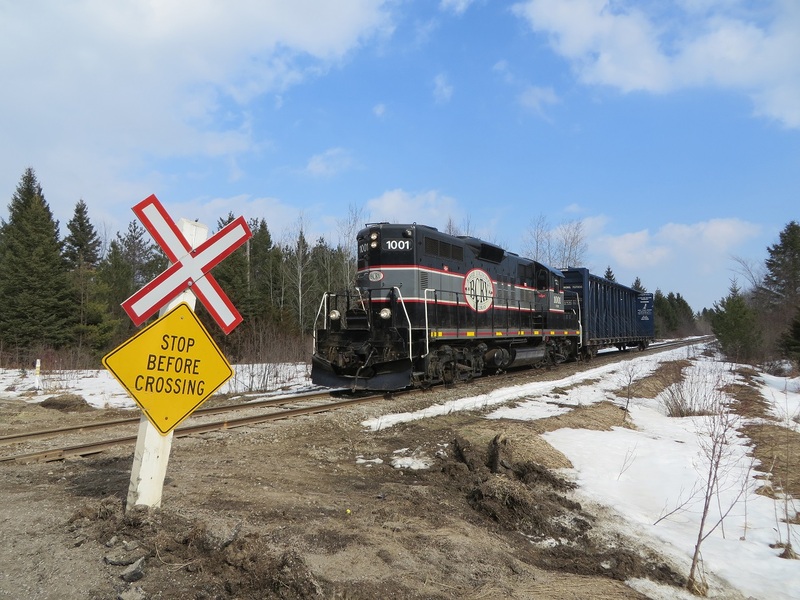 Railpictures.ca - Eric May Photo: 1001 returns from Tarpin Lumber with a single empty. | Railpictures.ca – Canadian Railway Photography – photographie ferroviaire Canadienne. Copyright Notice: This image ©Eric May all rights reserved. Caption: 1001 returns from Tarpin Lumber with a single empty. I’m a Cando fan now that I’ve been photo’ing them myself lately. Utopia? Certainly not what I expected.